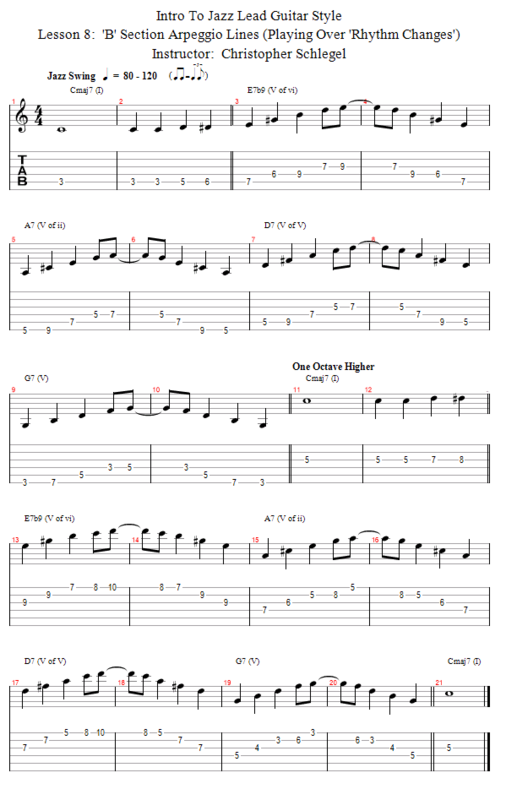 In this lesson we'll build some arpeggio lines to play over our B section chord progression. 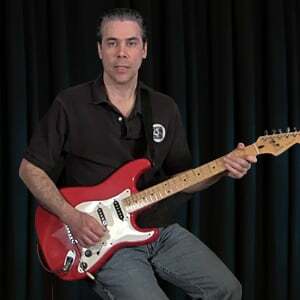 Again, playing over the Rhythm Changes chord progression is an important step in developing jazz lead guitar skills. We'll start again with the C major scale since we are in the key of C major. But, this time we have to do more altering to match the chords as they modulation from C major.